In the last four years we have hosted more than 800 volunteers from 51 countries and created an inspiring space of cooperation, creativity and harmony among volunteers and the locals. In 2017 our project received Energy Globe Award, one of the most important international environmental awards, as the best environmental project in Slovenia. There is a great variety of things to do, so if you want to bring out the hero in you and experience living in luxurious simplicity, come and join us! In October we moved to our new volunteers'center located 30 min by bus from coastal town Koper. We finished renovation of one of two houses. Till november we will finsh with renovation of the second house. Since we are almost full till September, we accept only chefs and volunteers who have experiences with renovation. We help local communities and NGOs in different Istrian villages, so we have warm and pristine relationship with local population. 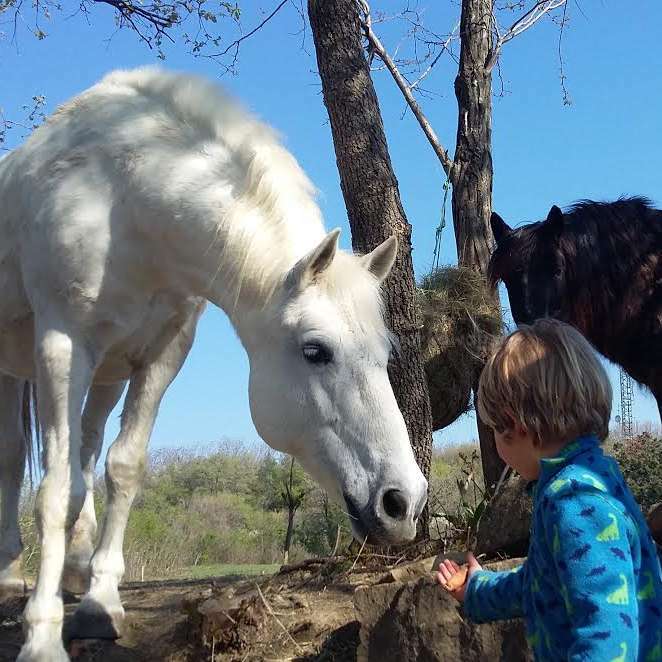 This enables volunteers to experience real Istria - its people, nature and traditions. In 2019 our main focus will be to finish with renovation of our new volunteers center, that will become a volunteers' home and our project's headquarters. Volunteers will be welcome to help and learn some basic construction skills in the process. Besides that, we will continue to help people in need, help locals with farming and renovation of traditional stone houses, organize workshops for kids, help in an animal shelter, help local Red Cross organization, participate at local cultural events, clean overgrown terraces and paths, organize clean-up actions...To do all that we need many helping hands. Our work is really diverse, so we are not looking for specific profiles, but we are searching for volunteers who have enthusiasm, motivation and will to learn new skills. We decided to dedicate our work to non-profit charity activities only. This makes us different from most other hosts, but also means that we do not create profit to cover volunteers' costs. Therefore we kindly ask volunteers to contribute 5 eur a day towards the costs of their food. Volunteers will stay in volunteer house in village Kastelec. We have a dorm room with 6 beds for volunteers, toilet and shower, a kitchen and beautiful surroundings. Till summer we are going to renovate a second house of volunteer centre where we will be able to host up to 20 volunteers. In the free time after lunch and in the evenings we share with one another our knowledge, play social games, walk on slackline, go swimming, rock climbing (there are great climbing sites nearby) , play volleyball, basketball, read, watch movies and talk. 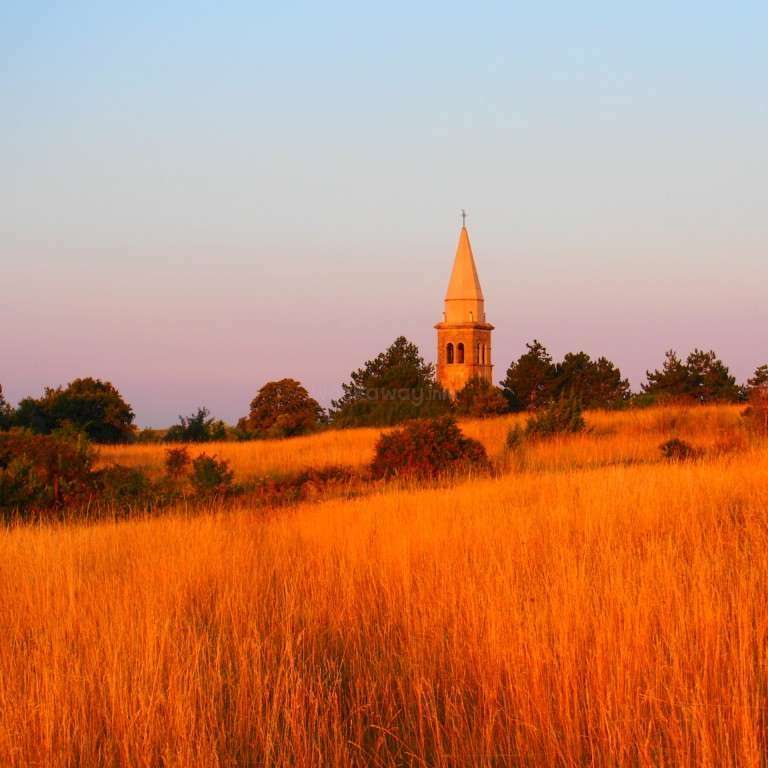 Our surroundings, Istria, is a fine region to practise hiking, biking and climbing, as much in the mountainous inland as in the coast. Istria is one of the Europe's top locations for culinary experiences. There is a regular bus to Koper that takes 30 minutes. - Škocjan and Postojna caves. Towns of Venezia, Ljubljana, Pula, Rovinj and Julian Alps with Triglav national park are 1 to 2 hours away. For our volunteers we organized charity discounts for some of Slovenia's most interesting activities, such are Soča Valley's rafting and canyoning and hiking in caves of Postojna and Škocjan. This is my first workaway experience. And I'm so grateful that I met Petra and Janes, who are so positive and kind-hearted. I rly had a good time there with them and their cute kids Jan&Maya, also met so many nice friends. We just like a real family. I stayed two weeks and I really loved it. I learned everyday, I could play guitar for the first time and I’m very gratefull to have been there. If you want to learn and help, this is the good place. 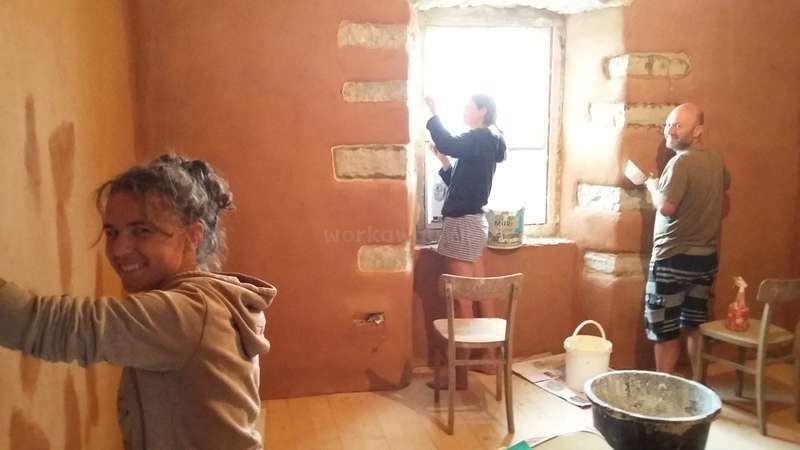 At the moment, it means in 2019, they are renovating one house, so we did plastering, floor tiles, painting, and prepare rooms for other volunteers… read more who will come this summer. I went also in an animal shelter to take care of some dogs, and helped the red cross. It’s also a magical place : the time gone by and you can’t see it. In summarize, my two weeks there went too fast. There is also two kids, very energic and they live play woth the volunteers, they are really interested in what you are doing. Don’t worry, you will appreciate your stay! Oh I was about to forget : landscapes are soooo amazing all around, if you are a lovely nature human, go and enjoy! It was my first WorkAway and my first experience in house renovation and everything went really great! Petra and Janez are really tolerent and not specific with what they want from you. However sometimes I felt it was a bit unorganized and that bottered me and a few other volonteers. Also they have one daughter of 2 and one son of 5 years old… read more which surprise a lot of volunteer when they arrive. Some were not comfortable with kids and they did not knew that kids would be there. Overall, thus project really inspired me for the future. Petra and Janez are doing an amazing job and it's really inspiring to see 2 person working so hard for others. I'm happy I encouraged them in this project and walk out of it with much more knowledge! Congratulations! My time here is something I will never forget! I had so many amazing experiences during my time there and I learned a lot of things. I spent 6 weeks there and it truly was an amazing time. I'm a much healthier and happier person now than before. Petra and Janes and all of the volunteers and locals (shoutout to Damien and Peter!!) I met were so… read more much fun. It was my first workaway experience and I don't think I could have picked a better place to start. It's a very easy way of life and every day was unique and exciting in its own way. I can't wait to come back some day. Thanks for everything! I spent one month here, it was my first experience and I think I will never forget it. 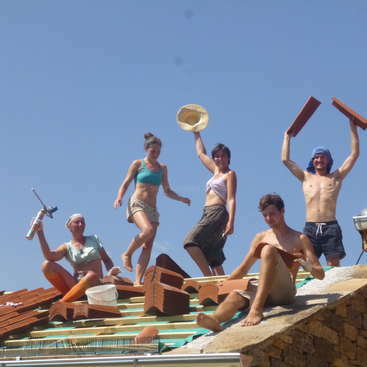 Thanks To Petra and Janez I discover a new way of life, I helped locals but also helped for renovate a new place. I learned a lot and I was the feeling about few days that I am at home. I met wonderful people and had so much beautiful experiences. I've spent around three months in this beautiful project. And it was the best time ever! We worked four hours a day for five days a week and it was super diverse work. We have been renovating a house, helping farmers while picking tomatoes or potatoes, took care of the lovely kids, gardened etc. etc. Never a boring day! In my free time I could… read more take the bus, or hitchhike, to several beautiful places nearby, and at the weekend basically to everywhere in Slovenia. Even weekend trips to Croatie or Italy were no exception. Petra and Janez are super welcome, and really try their best to make you feel like home. They really adapt to the diversity of the people who are there and try to make our and their time as fruitful as possible. I can not wait to come back here and see the new place! Wow, this is an experience that will stay with us forever. We honestly can’t stop talking about this place and all of the memories we made during our stay. This is so worth paying for - it is a small non-profit organisation run by a lovely family who just want to do good in the world! They have such big hearts and are such warm, welcoming people -… read more you will feel like this is your home and your family. The work varies in difficulty but it always makes you feel like you are doing good and contributing to the world in a positive way. We also offered to do a more arty project for the park and spent a couple of our working days doing this which was great fun. The people you meet will make a huge part of this experience as it is all about teamwork and we think this is what helped to build the relationships with everyone you meet (there will be a lot of other volunteers!!). The sleeping arrangement was interesting! We were not sure about sharing with so many people before we came but the huge room with 10 beds was very fun and brought the volunteers closer together as friends. We have kept in touch with all of the other volunteers we met and will look back on this time very fondly. We learnt so much new skills during our 3 weeks here, including hitch-hiking and climbing! Thank you Petra and Yanis, for everything!! If you’re reading this, don’t hesitate, just go!!! Utterly incredible. I spent four weeks with the group and I was able to met over 100 new volunteers that came through the camp. We worked for exactly four hours per day, not a minute more. Janez was very good about this! The work was very fulfilling. We helped out farmers pick their crop,… read more landscaped and my personal favorite, built a brand new volunteer house from scratch. I learned so many new skills that I can use for future workaways and in my daily life. There was a plethora of languages and personalities in the house. I made so many close friends that I met up with across Europe after the workaway. The life that Petra and Janez created for themselves and volunteers is astonishing. They bring together people from around the world to work and have fun. They are truly the happiest family I’ve ever encountered. I plan on returning in the near future. Thank you Petra and Janez for everything! I spent one month here together with Rebecca. It was our first workaway experience and we don’t think we could have had a better start on our travels than to spend it here! We really appreciated to meet and work with people from the area and the different projects we were working with, for example picking tomatoes, clean up around olive trees,… read more painting and build the new house in Kastelec. We also like the routine with morning circle when you tell everybody what you are grateful for. It is a nice way to start a new day. We would like to come back one day to see how the project has evolved and to visit the new volunteer center. Thank you for the time we spend with you! We spent one month here. It was our first workaway experience and we don’t think we could have had a better start on our travels than to spend it here! 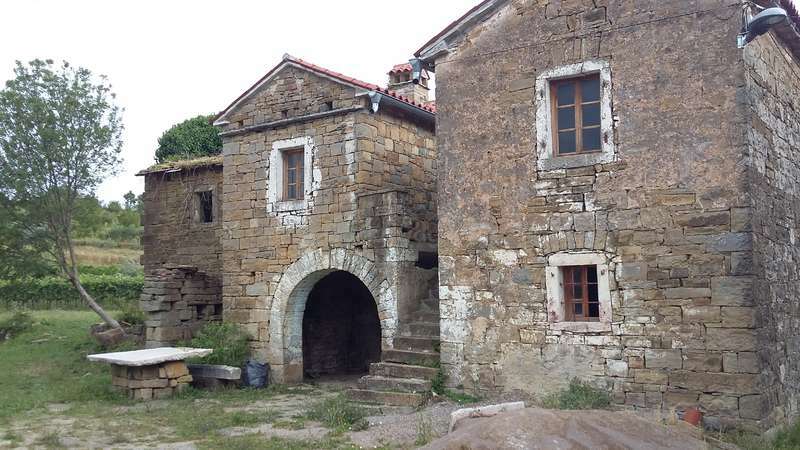 We really appreciated to meet and work with people from the area and the different projects we were working with, for example picking tomatoes, clean up around olive trees, painting and build the… read more new house in Kastelec. Volunteering there was an amazing experience. The second that I walked in the dining hall, I felt welcomed! I had the chance to work with an energetic team from all over the world. I enjoyed how well the volunteering schedule was organised. I loved the fact that we were able to choose how to dedicate our volunteering hours during the day, choosing… read more from various tasks ( cooking, cleaning, farm work, renovations, etc) . It was also very fulfilling to work with the farmers in the community, seeing the direct impact of our work. The area is amazing and I had plenty of time to enjoy : cafés in Koper, gelato in Trieste, daytrips to Ljubljana, climbing, cycling and hiking and so much more! But mostly, it was very inspiring to meet Petra and Janez, dedicated, hard working, kind and generous individuals that reminded me that living simply can be very fulfilling. It is amazing to see what they have done in their community.Thank you so much and I hope to be back soon ! Hey guys, it was great to host such a lovely couple. You are great, hardworking, responsible people that every organisation can just wish to host. I wish you all the best and stop by again some day. Sorry for the long delay here! For anyone considering this workaway you should absolutely go for it. Janez and Petra are fantastic hosts. The workaway is well organized, the work is varied, the food is good and the volunteers are generally positive, fun people. We stayed for 3 weeks and the work consisted of farming,… read more construction and cooking/ cleaning. There is a great work/life balance - you work (as mentioned) 4 to 5 hours per day and there are plenty of activities (swimming, climbing, hiking, slack line, etc) for those who are interested. Hopefully we’ll see you in Slovenia again soon and if you’re even in the US let us know! It is hard to describe with words how great Mathilde is :) Definitely one of our most hardworking, dedicated, responsible volunteers. I wish you all the best and hopefully we will meet again someday. We miss you a lot. I spent 6 weeks with this amazing family and their army of little heroes. 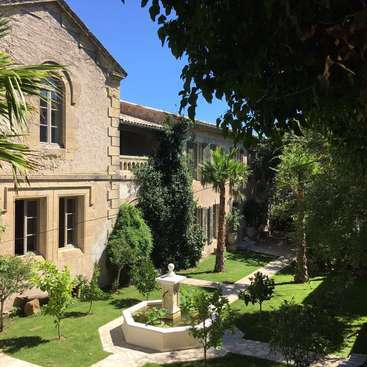 I highly recommand to discover daily-life here ; yes, it will be noisy and sometimes very exhausting, but after your stay there, you'll realize how inspiring, enriching and enlightening it was. You make the world a little bit better in the morning by helping local… read more communities and spend the afternoon free to explore the beautiful surrounding with other volunteers, that you'll soon call your friend. The work required and the amount of free time was perfectly balanced to me. What I particularly appreciated about Janez and Petra is that they were also dedicating their free times to show us around, they drove us to some hidden waterfall, for example. It's beautiful to see how much they know about the surrounding, how much they love this country-side and how happy they were to share this knowledge with us. I'm so grateful that my path led me there, I will for sure be back one day. We stayed in Petra and Janez place for 3 weeks during our cycling trip in the balkan countries. We found Petra and Janez very easygoing and flexible and at the same time they are hardworking and focused on achieve daily goals. It is not a commun combination of attributes but this is the way we felt them. What we liked most of the place are two… read more things: 1) Everyone wake up early to work in the morning up to 1 pm, just before having lunch. After that everyone is free to do other activities: can go to Kopper, cycle around, climb a mountain, etc. So if you go there you work half of the day and you do what you want the rest of the day. 2) We also liked the fact that we could share time, work and other activities with people from many countries. At the same time we were there, we shared the place with many belgique and french groups and volunteers from many countries of the world, especially Europe. Big hug and all the best to you two! This was my second workaway didn't have a good experience at the first one so I was a little anxious. What can I say only that this is an amazing place i had the best time ever and made friends for life. 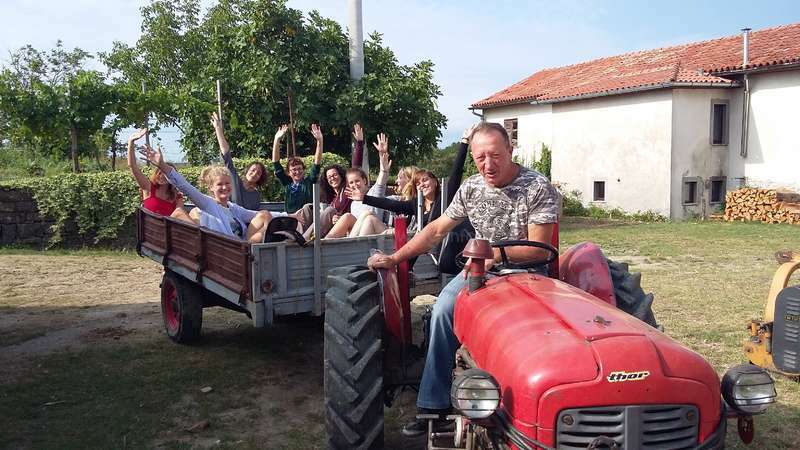 There are lots of different jobs to do daily and it's great when the whole group is together working helping a local farmer weeding fields as you… read more know that you made a difference that day, picking potatoes or clearing land. Petra and Yanis are so easy going and the atmosphere in the house is fantastic. There is lots to do in your spare time, hiking, going to the beach, local caves and being together playing music, games, cooking, basketball or playing with the two adorable kids Jain and Mia. I cannot rate this place highly enough if you have a chance to go, do as you won't regret it !! It has changed the person I am for the better. This was a truly amazing experience! They manage to create such a welcoming atmosphere where everybody can just be as they are. I never had this before. They are interested in who you are and what you do and this equally for every person who's… read more staying there. And there are a lot of people. The bit I could know about them is extremely inspiring! Thank you guys for being as you are! The work is very fair and pretty nicely organized. Best thing is, that you'll have the chance to meet local people and connect a bit, learn Some Slovenian language and culture and help people who need help. The living there is like a big happy family where daily tasks are shared and a lot of fun comes out of it naturally. I would recommend it without hesitation to anyone passing by Slovenia! Hopefully see you again one day! Best of luck with your projects and a happy live for all of you! thanks for being with us and for all the hard work you contributed to our project. All the best on your life journey and hopefully we will meet again some day. I spend two weeks in May in Gabrovica with the group and it was amazing. The atmosphere was inviting from the beginning and I was quickly part of the group. The work is varied as it may involves anything that benefits the community, it is rewarding, well organized and you get to meet friendly locals. Everyone does their share of cooking for the… read more group and cooking ideas! We used our freetime to discover Slovenia (climbing in Istra region, relaxing on the coast, hiking in Triglav Natl Park). Hvala lepa Petra, Janez and the volunteers for all these nice moments. it was pleasure to host you. You are such a friendly, positive and warm person. Thanks for all the hard work. We really hope to meet you again someday. Till than...all the best on your life path. Hey guys, it's been two weeks and i miss you all. I just wanted to say thanks again for having me for about 3 weeks. I had a lot of fun cooking those foods i never cooked before even some odd seeds 😂😂 i just hope you keep with your amazing project as long as ever. Good luck. I stayed here for 3 weeks back in September. What na incredible place. Janez and Petra are incredibly kind, smart and welcoming hosts. The gang that was there with me at the same time was increible - such a good sense of humour and fun times in nature. The structure of morning circle,… read more cooking/eating together etc. really encourages a sense of family. The work was great - really something for everyone regardless of interest/ability. Tomato picking, lot's of cooking, building, gardening. etc. A great chance to develop new skills since everyone was so encouraging and friendly. As well as that, the work is made easy by the sense of vision that Topolevec have. You really feel that you are working to a purpose. The leisure time was brillant. 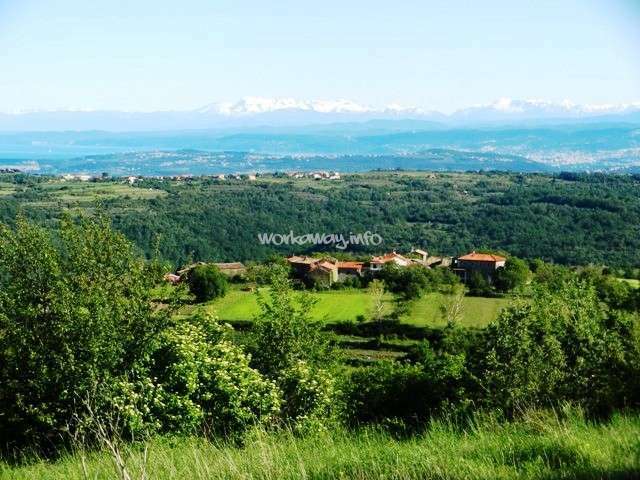 A fabulous location with mountains, rivers, and Koper not too far away (although you won't want to leave the house and grounds too much! People are always up for an adventure. In the (optional) evening discussions and seminars, people shared amazing, progressive ideas. I really want to thanks all of the team for putting the hard work into creating and amazing space. It is really appreciated, and has changed my life for the better. thanks for being with us. Thanks for all the hard work, good food, positive energy. We wish you all the best and hopefully we will meet again some day. it was great to have you with us. Such a great energy and humor you have! Hey friends ! What's up ? It was sooooogoooooooood to meet you ! Thanks ! Love ! Prout ! thank you for being with us! We appreciate your hard work and positive energy. Hope to meet you again someday. Petra and Janes are full of positive vibes and great enthusiasm. I spent 3 weeks in Elerji and it was pure pleasure to be at this beautiful location at the border of Slovenia and Italy. Work was simple and fulfilling, schedule was very flexible with lots of time to relax and travel around the beautiful country. 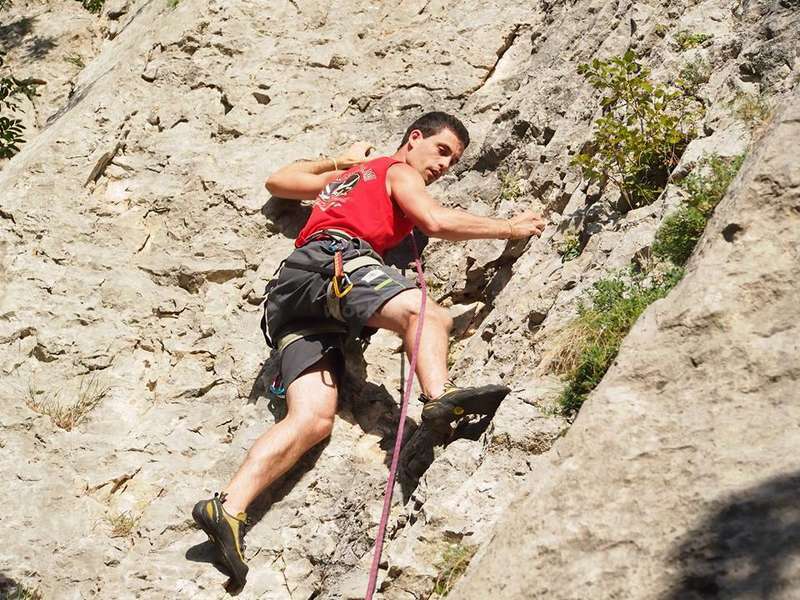 Janes also took us for climbing… read more trip and it was the best experience ever. Fellow volunteers were great people with variety of skills. I learnt a lot from everyone, also got a chance to polish my cooking and eating skills :P.. I will miss this place. Thanks Max, it was a real pleasure to have you with us! May good luck follow you and if you ever wish to come back our place is always open for you! I had an amazing time! when i was there was about 20 people all working together on the project. everyone staying there was lovely and the hosts were great. we picked potatoes and grapes, tomatoes help with fire wood and getting a church ready to be renovated. but we still had loads of time for socialising, going for walks and exploring the… read more area. I collected a lot of wild sweet chestnuts from the forest and roasted them while I was there. the food was also amazing. All round it was a great experience. I've been 4 weeks in January and February in this place and it was a great experience. The work there was varied (Helping in the animal shelter, helping people with disabilities, remove the broken branches and leaves in the fields near the house, clean-up actions...) and many times fun, and it wasn't hard. The house during the winter is 5… read more minutes walking to the coast , and it's very nice walking next to the sea. But the most important thing is the very nice people there. Petra and Janez are great people always willing to help you, also Bea and Anna. Playing with Jan was very fun, and Ron is a lovely dog (I already miss him!). Thank you all for the experience! Totally recommended host. We are missing you too, Shahar. You are a great, dedicated and responsible person. Good luck with your project. Hopefully we meet again some day, in Slovenia or Israel. My 3 weeks staying with Petra, Janez the kids and all the other great volunteers was great! I enjoy to live communal life where we shered everything together. I had fun, i learned a lot of new things about myself and my communication with others, i enjoied the helthy vegeterian meals we all cooked and it was defenitly positive expirience to live… read more with kids in the house, They are lovely! I left yesterday and im allready missing this exellent project! you are truly amazing people. Responsible, intelligent, hard working, adventurous, kind...It was a privilege to host you. We will miss you, but I know we will see each other soon and have many more opportunities to learn from each other. If you enjoy good people and good company, this is for you. If you enjoy nature, this is for you. If you enjoy good food, this is for you. If you enjoy sports and being active, this is for you. If you enjoy learning and gaining new skills, this is for you. If you enjoy relaxing in peaceful environments, this is for you. If you want to help… read more reinvigorate a rural community, this is for you. If you want to be in community, this is for you. Simply put - this place should not be missed! We miss you, too! Come back soon. I left here a month ago but still miss it so I decided to leave a review. I spent a month there and felt very comfortable from the begining. Petra and Janez created a great atmosphere where newcomers feel at home right away. The best part was that we got to choose everyday from A multitude of projects and you can choose to help the causes you… read more believe in. they also trust you to do any type of work so i learned a lot. During free time there is soo much to do there (play dinosaur with Jan) and the scenery is gorgeous with so many hikes. Vida also helped us explore the area. I honestly loved everything and everyone there and hope to be back at some point! Many thanks also for all the work you gifted to the project! We were happy to have you with us! I stayed for just under a month in July 2016. 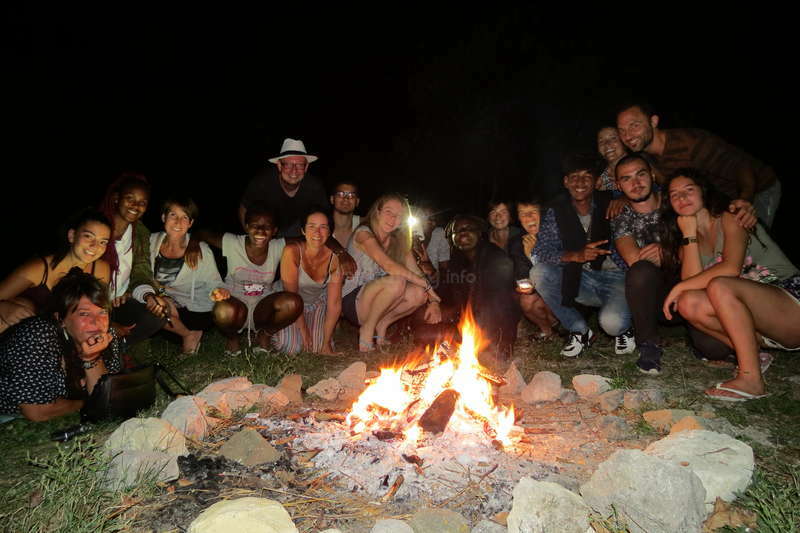 From the moment that you arrive you feel welcomed and calm, the way of life that Petra and Janez have made for themselves impacted all of the volunteers that I worked with, including myself as there was a happy, content atmosphere throughout my time there. I spent a good time reflecting on life and… read more being creative while enjoying the beautiful landscape where the project is based. 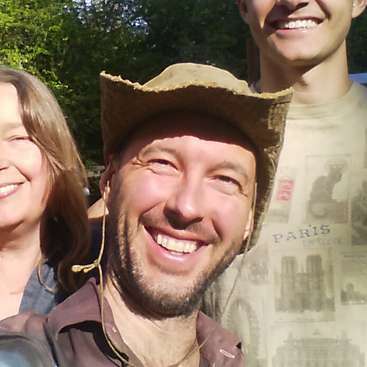 Petra and Janez give volunteers the opportunity to work in and to learn about sustainable building, farming, gardening and philosophy and are very eager to answer questions about sustainable living and the local way of life. Away from the work we were shown private rivers and waterfalls to swim in, private beaches to sleep on and sleepy villages to hike through. If you go in July there's an amazing music festival nearby that was probably the best one I've been to and would be lovely to go to again. It's probably cheesy to call my time here life-changing but I honestly feel it was as I learnt a lot about myself and had a lovely time with lovely people :) Thanks again to Petra and Janez (and Jan) for having me. thank you for your hard work and your kindness. You are a wonderful person. I wish you could stay longer with us. Come back any time! My 1 month stay here was so great that it was hard to leave the place and its people! I have learnt a lot there about manual skills, community living, cooking, gardening, and also about myself.. I especially apreciated to choose the daily tasks every morning, the calmness and openmindness of everyone, the sharing of the knowledges and all the… read more wonderful people I have met there! I had this special feeling that everyone could contribute to improve the life there, on his/her own way. This is such an inspiring place, I encourage everyone to go and volunteer there, for sure you will get some benefit and nice vibes! A big hug to Petra, Janez and Jan and to the other volunteers I met there! it was pleasure to live, work and have fun together with you :) I hope you enjoyed the rest of your journey and that we will meet you again. Mosquito nets are serving us well :) Thanks again for all your calmness and responsibility you were willing to take over with volunteers' coordination....it is great when you feel, you can… read more really rely on someone! My time here turned out to be one of the best experiences of my life. Petra and Janez are amazing hosts and exceptional people. The shared, communal way of living they have created here really inspired me and opened my mind. The work was interesting and varied, with chances to learn real skills and help the local community, and if you bring your… read more own skills then you are invited to use them. There are always activities going on and I was never bored. The hardest thing here is to get enough quiet time alone! There is all the personal space in the world if you want it, but here I found that I rarely wanted to. This is a perfect place to develop yourself inwardly and outwardly - truly a special place that I will never forget. Big thanks to Petra, Janez and to all the amazing volunteers I was lucky enough to meet here, hopefully our paths will cross again some day! I am repeateing other feeback, but... i really don't know where to start! I spent one month here but i wish a stayed a way longer. You can feel this place is special as soon as you walk uphill to the belltower and the big house that is just near to it. And as you look around, to the newly tyded basketball court, the slackline, the Secret (and… read more the non secret, and the brand new TOP secret) garden, and many other pearls you really start to feel that something is oddly right here! I really enjoyed the guitar wake up calls from the stairs, and all the shared moments, from the morning circle to cooking dinner together. There are lot of different jobs to do, so wether you wake up willing to leave your confort zone, or master your skills, you will always have the job you want, and if not, you can purpose what you feel is needed. I can't tell how good it was playing "catching dinosaurs" with the little Angel/Devil Ian, while eating and gathering strawberries in the fields for other volounteers. I'll be back for sure next year after new Zealand! Thanks Petra Janez Ian and all the volounteers! Dear Amy, we enjoyed having you with us. Thank you for your help and smiles! I volunteered here in October, only for 10 days, but it was one of the most positive volunteering experiences I've had! The project is a really worthwhile one: the team (including Petra, Janez, Nara, and of course little Jan) are all super engaged, intelligent, and fun people, and the way the project is integrated in local issues was really… read more refreshing. The sense of community was so so nice, and the work here was never too much - we worked on some construction in the bathroom, farming help for locals, and the path in the garden which had been all dug up. It's a great project, and I can totally recommend volunteering with them!!! P.S. sorry for the late feedback! I was only here for a few days and I arrived near the end of November and the end of the volunteer season, unfortunately I was also pretty ill. ( I got better as I was heading back home, I did still managed my trip to lake bled and bohjin) I didn't actually do much in the few days I was here, as I was pretty weak, but in that time I did meet some… read more very decent people who were kind and welcoming and also helped me out. Like all the rest of people I met in Slovenia. I like the ethos and nature of this project and think that they have done really well in building this place up. I was really impressed when I walked around the place. I think in the height of the season this would be a great place to meet people and experience nice nature - the landscape around was really lovely, the first few days was bad weather but when that lifted I saw what a nice area it was, I wouldn't mind coming back here maybe another time at the height of the season. Thanks Petra, Janez and to all of you!!!!!!!!!!!! Thank you for all your help. It was great to have you here. The whole team here are special people. The members, the volunteers, the locals and of course the dogs! Janez, Petra, Nara and Vida are welcoming and interesting people through and through, and they insist on a wonderful way of life. The work was more like play on some days, and the food and sunset was to die for every single day. Thank you so… read more much for having me, and i hope to visit again someday. it was great to have you here...Hope you are coming back some day. Well, where to begin. What a great place and great group of people! I enjoyed every day of my 3 weeks, I could have happily stayed a lot longer. I left feeling really peaceful and energised. The work was really varied. I tried everything from potato picking to drystone walling to making wooden shutters. The opportunity to go and work for locals… read more was great, you could see how much help we were to them. It also was a great opportunity to see parts of Slovenia that you wouldn't normally get to see as the usual traveller. Overall it was a project with really inspiring aims, wonderful people and a beautiful setting! I cannot even put into words the experience that me and my boyfriend, Drew had here. It was truly a life changing experience which opens your eyes to a completely different way of living. I wish that everyone could come and stay here, if so the world would be a different place. Where do I start with our time there. Firstly, the people that you… read more meet, including Petra and the family are what makes the experience so special. Living in a community where everyone works together in a team is amazing, for example cooking amazing meals with people from around the world. You instantly form bonds with people and become a little family. I will never forget the discussion we had on the last night about the world and what we have learnt. 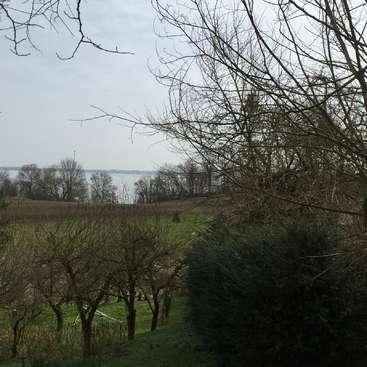 The work was also very rewarding, such as, helping on the vines picking grapes, picking tomatoes and building a home out of sticks for a farmer's children. The work was also fun, I learnt how to make shutters and use an electric wood sander. My favourite time out of the two weeks was going on a 5 hour hike searching for waterfalls. The evenings are also great, learning how to make dream catchers, sitting round the camp fire playing guitar. As well as the mornings, in which you all eat breakfast together and then have a morning circle. I will never forget my time here and the great inspiring people I met and I will also keep the values, skills and memories with me. Thank you so much it was the most peaceful, powerful and eye opening experience. Thank you so much for your hospitality, kindness and patience towards me and an even bigger thanks for your courage of starting a project like this and to wholeheartedly make an effort to make it work. I admire all those… read more things in both of you and I must say that you inspired me to give more thought to the environment - both the nature and the people. I liked the daily routine of having a soothing wake up call, eating breakfast, having a morning circle (I already miss sharing my thoughts in the morning), deciding together which people do which jobs, work until lunch and have the afternoon off. There was enough spare time to sit together and talk, relax, walk around, play some music or do some workshops. One last thanks for al the things you taught me and the nice excursions we made. I will never forget this place and I´m quite sure I´ll be back someday :-). We had a wonderful experience working and making a 2-week home here. A big thanks to the whole collective crew of young leaders who made our stay engaging and rewarding. What we liked about the work: Each type of work was never forced. There was always something to do for everyone of all ages and you had the option to choose. Loved the… read more opportunity to work with other farms nearby hope this continues. What the work occasionally needed: A task leader and a plan could have helped progress more complex work since the staff sometimes had more pressing tasks to attend to. Free time: Hands down the highlight is its beautiful landscape. Great to explore and let yourself find a creative outlet. We also enjoyed daily workshops for self exploration and the opportunities to go rock climbing, cook with locals, or see musical shows in nearby villages. Overall: A home away from homes. I will always remember this place and expect it will continue to flourish with the open minds and hearts of its caretakers and guests. thank you so much for all your help. We hope to meet you again. All the best! This place is very special..with its calm and energetic athmospehere in the same time, with all the people, who can be everyone very special and different in a way..
We loved our stay there.. with all challenges, discussions and funny moments..This is an ambitious project with a great and unique vision how to help this region and local community.… read more For us it was a great pleasure to contribute a bit in this. Wow! It is not possible to put my experiences of living here for 2.5 months into a short paragraph of feedback! Everything here just "scratches the surface" of such a deep experience. I enjoyed every single day of my stay, you are really really amazing people, with the most awesome project that I could ever imagine! I loved working together with… read more you, everybody was full of enthusiasm and in the end, work was often more fun than the "lazy days". 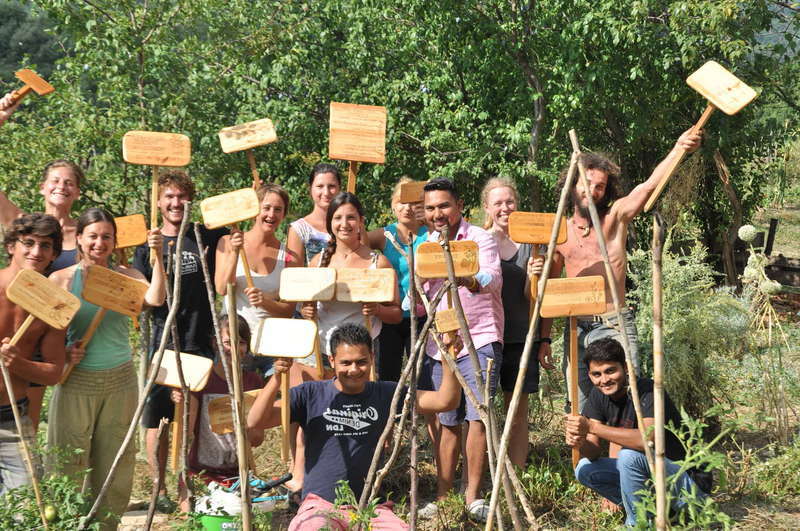 I learned so incredibly much, about ecovillages, life in a community, different kinds of work, and about life in general! I found another home in the world, and miss being with all of you! But I know I will be back! We have been with this host last October for 14 days and we had such a good time! First, a big thanks to all the lovely Park people! 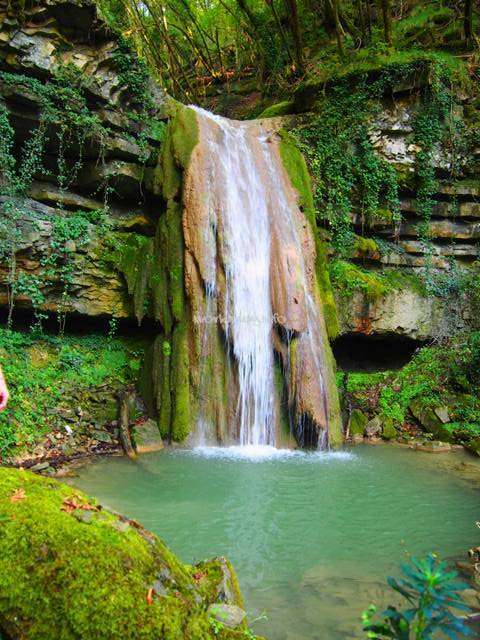 We also had a nice hiking tour to some Italian Waterfalls and a chillout-day on the Croatian "beach". In our opinion, it was a bit less structure in working there but in the end a very nice experience. If we find the time,… read more we will come back to see how far you are. Absolutely adorable place. Positive energy, nature and warm people are waiting for you. Thanks to this place to be there and teach the art of community all around the world. Volunteering in Slovenia this August was supposed to be a healthy training before I start traveling for real. It turned into one of the deepest and most sincere experiences of collective life I've had. I'm grateful for this peace I tasted in Hrvoji. Go there because of the project, hard work or not (depending of daily priorities), the waterfalls,… read more the Adriatic, the climbing sites and the fig trees, and you'll discover great and true people. Hrvoji is a small kingdom of peace where I might come back one day... hvala! 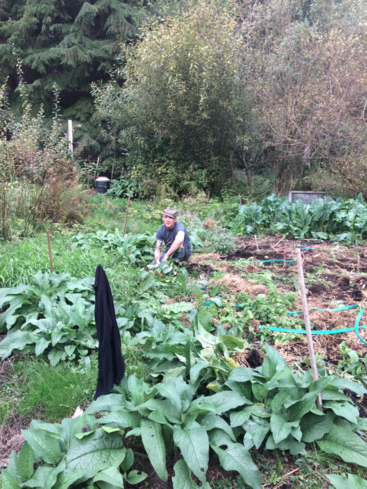 Learn and have fun on our small, Permaculture-based on scenic Vancouver island, Canada. 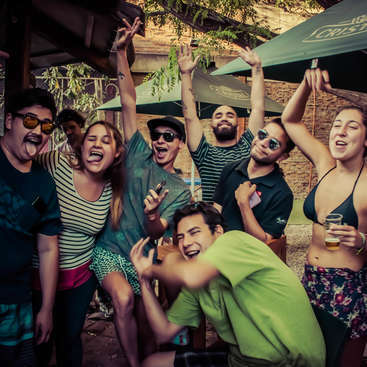 Help out in the best Hostel in Santiago de Chile! Come have an amazing time!